I had never been to Wings n’ Things before this visit. Sure, I had heard about it, seen it lots of times before, so it’s not like I don’t know what it is. I just had never been for some reason. 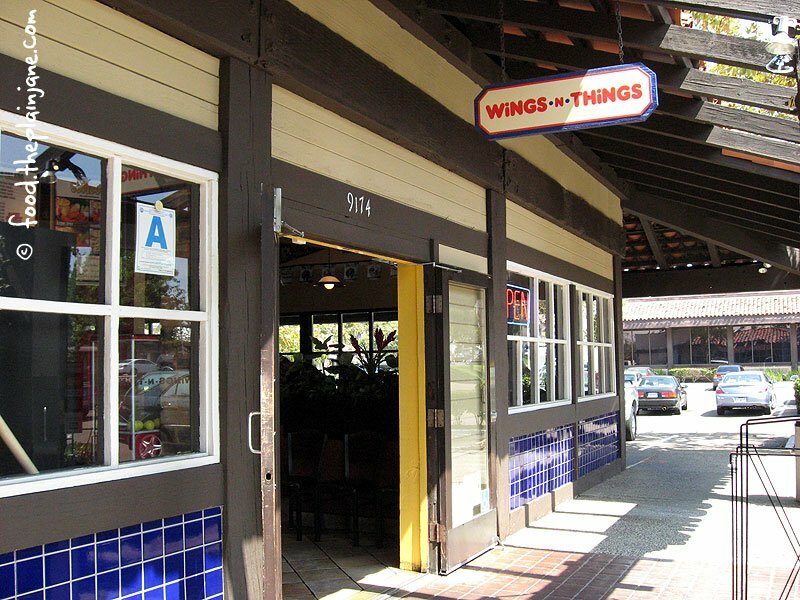 It’s a local San Diego chain serving up Buffalo Style wings to the masses in San Diego. They’ve got a pretty limited menu. You can get wings, chicken strips, or shrimp, all buffalo style. I don’t remember if they serve mild, but I know for sure they have “hot” and “medium” – I choose medium heat. I ended up getting the 5 Wings Meal + drink for $5.99. The menu will tell you the combo is $4.99, but that’s without the drink. You also get 2 bread sticks, carrots & celery, and your choice of sauce (Ranch or Blue Cheese). Blue cheese for me, please. These wings were… spicier than I thought they would be. But I’m a total wuss, so don’t mind me. 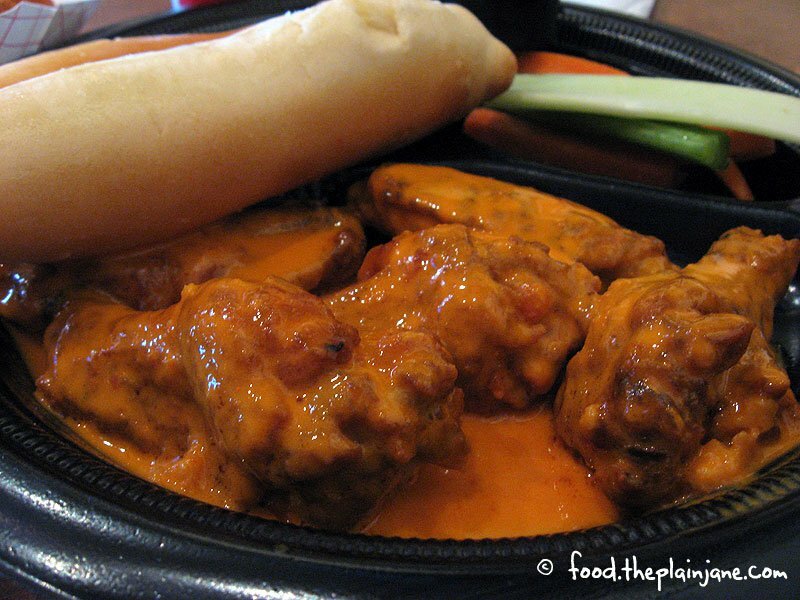 These wings are pretty meaty, come in a ton of sauce, and are pretty tasty… once I ate some celery sticks or bread sticks to cool off my mouth. I only ate four of my wings. The bread sticks are akin to Pat & Oscar’s… but not quite there. I truly believe the only reason Pat & Oscar’s is still around is because their bread sticks are amazing. The rest of their food is crappy. Though I will eat the pizza and Greek salad just so I don’t only eat bread sticks for a whole meal. I suppose I could have eaten all of my wings if I didn’t also get this: Breaded Mushrooms ($3.19). Now, they don’t look like much. And I didn’t think much of them when they actually arrived at my table. 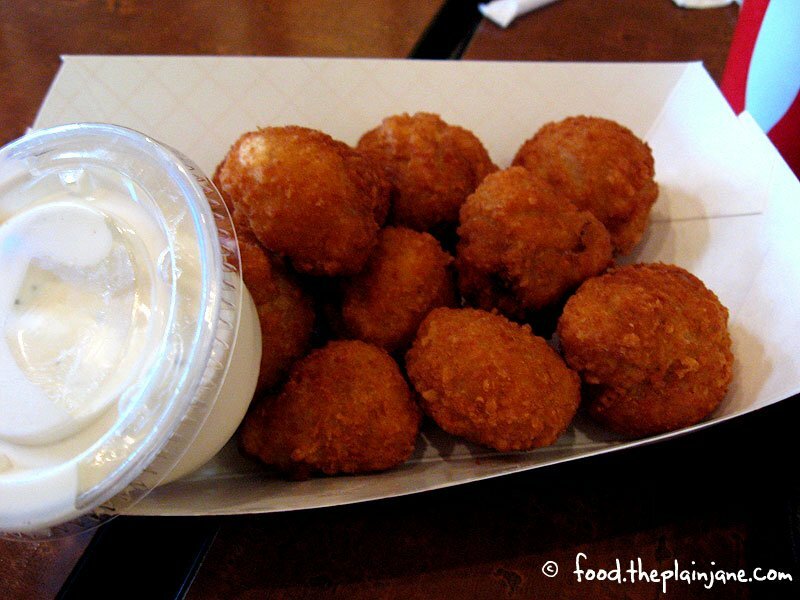 They just look like little fried balls of … who knows what. But, after eating one, I was hooked. 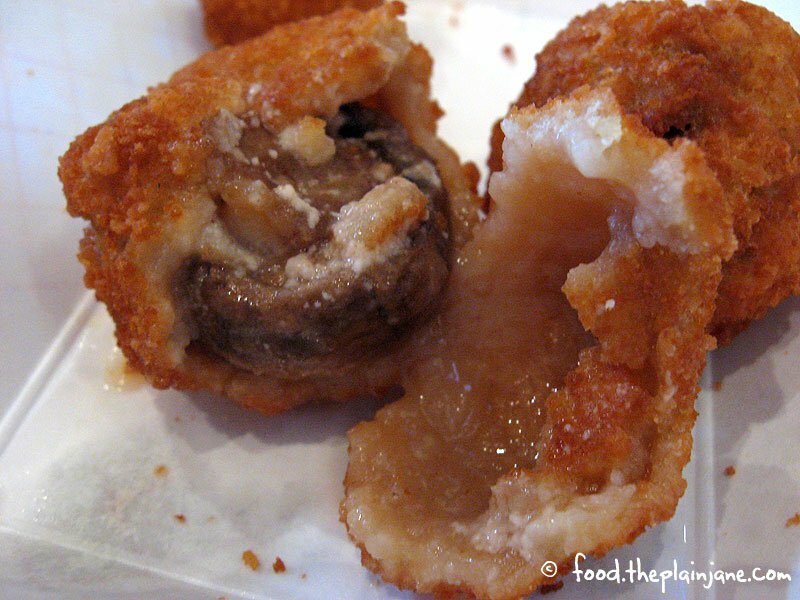 These were really juicy on the inside and had that crisp battered outside shell and I think there’s a little bit of cheese in there with the mushrooms. Really tasty – I would come back for the mushrooms alone!